A big thank you to Drakulus for nominating us for The Blogger Recognition Award! When I first started this back in 2012, his blog was one of the first I had come across when I made the switch to WordPress and since that time it’s been a great example to me of how to really make a blog your own. His knowledge on RPGs (and shooters too) is fantastic, especially if you like Bethesda’s games and modding where he regularly highlights what’s new and interesting. A couple of years ago Grocs joined in and brought his enthusiasm into the mix too. Having friends join in has been great for me because not only does it provide more content for the blog but requires me to take a step back from time to time and look at the bigger picture. Helping to make everyone’s posts look good and get noticed has become just as rewarding for me as it does for my own work. With further contributions now from Kitarakae, Darkelf and Psycosm we’ve kind of settled into a nice groove in what we write about in general. Be willing to experiment. Though you may have certain ideas of what you want to write about, don’t let it stop you from trying something different from time to time. You may end up being surprised with the responses you get. A couple of years ago Grocs posted tips for the game Project CARS which had an incredible response and convinced us to try it more often. It was something I hadn’t even considered but as it stands now, our tips often get more traffic over time than the actual game reviews. Just have fun with it. Write about what you’re passionate about, respond to as many comments as you can but don’t let it get in the way of time with friends and family. Only a small number this time but worth taking a look. 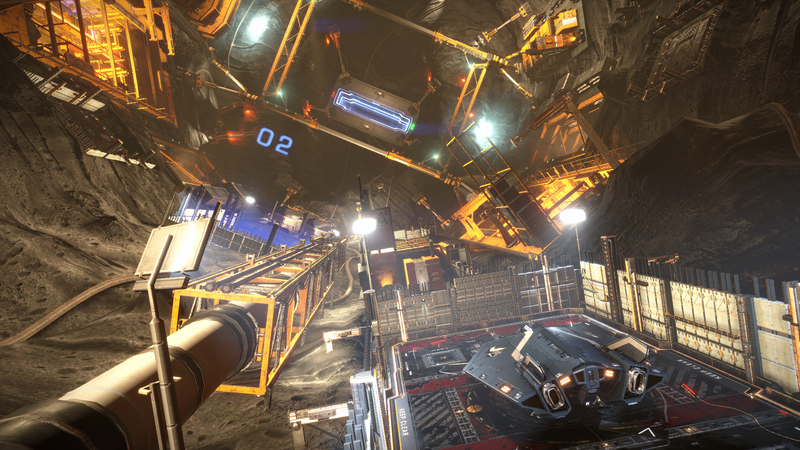 Falcon Game Reviews – a fellow Elite Dangerous player who is also reviewing games regularly. His review of No Man’s Sky is worth reading for ED players too. AmbiGaming – a gaming site currently going through a 30 day challenge covering aspects of video game. This post on Dragon Age II was one that really got my attention. What are your “guilty pleasure” movies? Thanks for the nomination! You’re too kind 🙂 I’m writing up a few different award posts, so I will definitely start on this one, as well! Thank you again! Thank you greatly for recognizing me! In honor of your nomination, I’ll have to put something together that is sci-fi related. It’s funny, but your advice of experimenting with blogging is something that has helped me a great deal. I’ve noticed that I’ve had a ton of fun doing new things, like doing my Survivor Stories and working on Alien: Isolation. I agree with your advice wholeheartedly. It’s great to hear that you’ve been rewarded through your own blogging experiments! Mine have certainly been educational (even the bad ideas!) and I think it’s helped improve my writing too. Congrats on your award and great advice. Thanks for the nomination too. Very much appreciated!